Thread painting is definitely the correct term to use! You should check out Renee @Quilts of a Feather's Starry Night thread painted quilt - totally awesome. 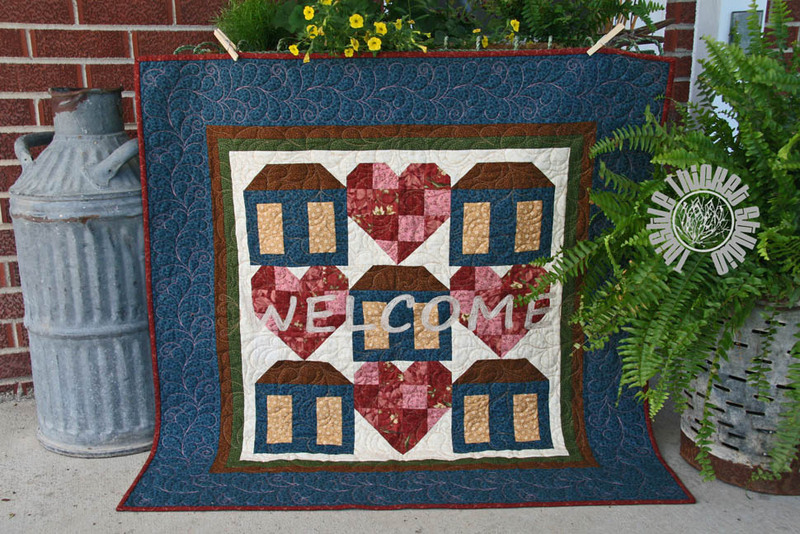 The WELCOME in your quilt stands out nicely this way and looks great - what a wonderful way to embrace the oops! I've never heard of thread painting! That is fabulous! And thanks for the link! Going to have to check it out! Yvonne, when I was googling 'thread painting' that quilt, "Starry Night", came up in my search. It is really cool. 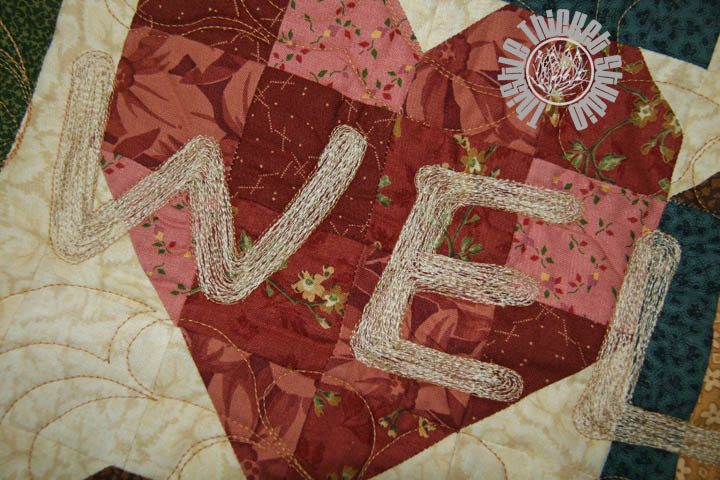 I've seen thread painted portrait quilts at quilt market that are just amazingly unbelievable. Thanks for stopping by! Ashley, there are some really amazing thread painted quilts out there. Some just accent the quilt, such as in applique, and some are pictures totally created with thread on a plain background. My little fill-in stitch on this quilt can't compare and why I questioned whether to even call it thread painting! Thanks for visiting!